La Doyenne is the oldest of the classics and, it could be argued, also the hardest. The race follows a fairly lumpy route to Bastogne before turning back and hitting the steep ascents of the Ardennes repeatedly on the road back to Liege. The narrow roads, the rotten weather and lung bursting climbs mean that only those with good form can even begin to think about being in at the kill. The winner is usually someone who hasn't featured in the earlier classics, although since the advent of the World Cup, there are always a significant number of riders seeking points and this makes a tough race even tougher. This is a race which everyone wants to win and any rider who has this on his palmares is assured of his place in cycling history. 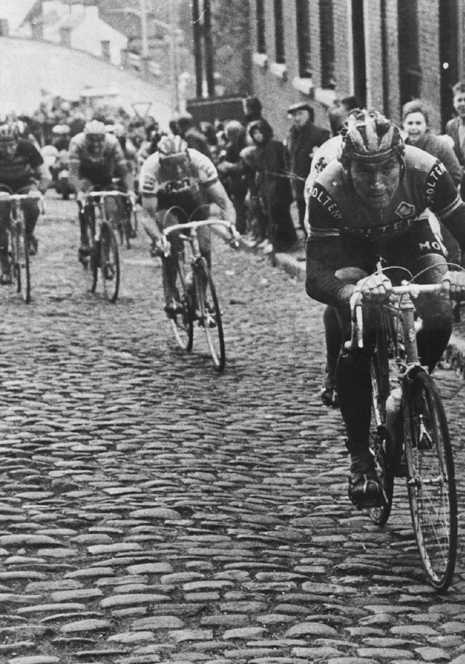 In 1977 a disgruntled Eddy Merckx could do nothing to stop young Bernard Hinault from winning and the question being asked was "have the French found a New Saviour?"